There are a few different things going on in A Life of Crime, and I don’t exactly know where to begin. Written by Matt Fitton, it launches not only a new trilogy in Big Finish’s monthly range of two-disc Doctor Who stories, but a new continuity strand for the Seventh Doctor and Ace. After a long continuous thread of adventures for them with new companion Hex, running from 2004’s The Harvest to 2014’s Signs and Wonders, we get a new set-up: the Seventh Doctor and Ace reunited with Mel, after her time travelling with intergalactic rogue Sabalom Glitz after Dragonfire. It’s a set-up that has potential, but this story doesn’t work for me, and there are a number of reasons for that. Let’s start, I guess, with the local, with this story itself. A Life of Crime takes place on a planet which shelters space criminals in exchange for generous bribes and/or taxes. 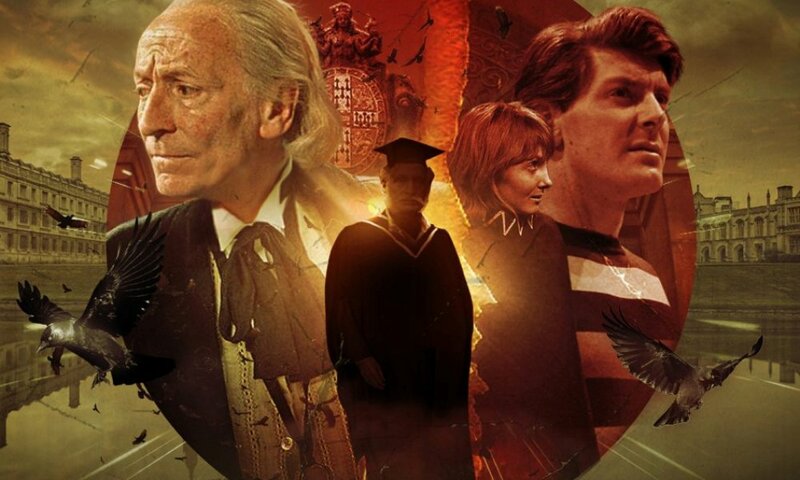 The beginning of the set revolves around a dead gangster faking his own death, and Mel helping a group of criminals carry out a heist, including one pretending to be a newly regenerated Doctor (Ginny Holder’s Gloria). Plus there’s a space policeman out for the space gangster, and a plot by the potential-sucking Sperovores, putting in a surprise reappearance from The Diary of River Song Series Two (though, I suppose that in production/release order, it’s the other way around). It seems like a recipe for a fun, Season 24-style romp, but like most actual Season 24 stories, nothing much fun actually results. It’s hard to put my finger on why, but at least one problem is that it feels like not much actually happens — characters seem to talk to each other a lot but not actually do anything. If ever there was an argument for Big Finish’s 2017 experiment with double-disc releases that consist of two two-parters, this story is probably it: A Life of Crime feels like 50 minutes of incident stretched out to 100. (At least Season 24 was 50% three-parters; I don’t think Delta and Bannerman is a great story, but it works in 75 minutes in a way that it’s hard to imagine at 100.) I like heist stories — disparate groups of people pulling off improbable plans is probably my favourite kind of sci-fi tale — but this one is just blah, with a gang of about three people not doing anything that seems particularly interesting. I didn’t think Time Heist was a very good Doctor Who take on the heist story on TV, but it was better than this. 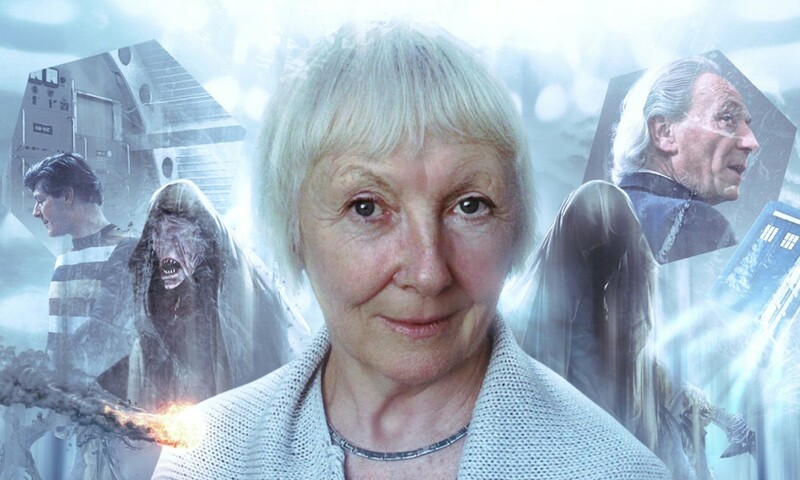 The idea that Gloria is pretending to be the Doctor post-regeneration has potential, but Ginny Holder’s performance causes it to fail utterly. I mean, obviously we all know she’s not really the Eighth Doctor, but the story could at least hold out some mystery as to what’s going on. But Holder plays Gloria playing the Doctor as so obviously a baddie without any hint of Doctorishness to her that there’s no investment by the listener in hearing how the deception is going to play out. The remaining elements don’t inspire much either: the Sperovores are dull villains, and when there’s a last-act twist about the identity of two characters, it just feels like Fitton tacked it on because both characters had nothing interesting going on otherwise… but because they had nothing interesting going on otherwise, you don’t care about the twist, either. Basically, that’s the story’s overall problem: there’s nothing here for a listener to care about. Whether the heist is carried out, or whether the Sperovores do something terrible to Costa del Sol in Space, it’s all the same to the listener. There are bigger elements in play in this one, too, though, and their implementation here leaves me feeling sceptical of this new strand of adventures with both Ace and Mel. I think the idea has potential, both because the two characters had some good interplay in Dragonfire on screen, and because this story has potential to flip that around: Mel travelled with the Doctor seemingly a short while and has since gone off with Glitz, while Ace has gone from being the neophyte in time and space to an old pro, having aged at least half a decade since Dragonfire if Big Finish’s earlier Ace stories are to be believed. The possibilities here are either mined poorly or not mined at all. This Ace feels more like the Ace of Season 25 than the Ace of The Harvest and A Death in the Family (or even the Ace of The Curse of Fenric and Survival). 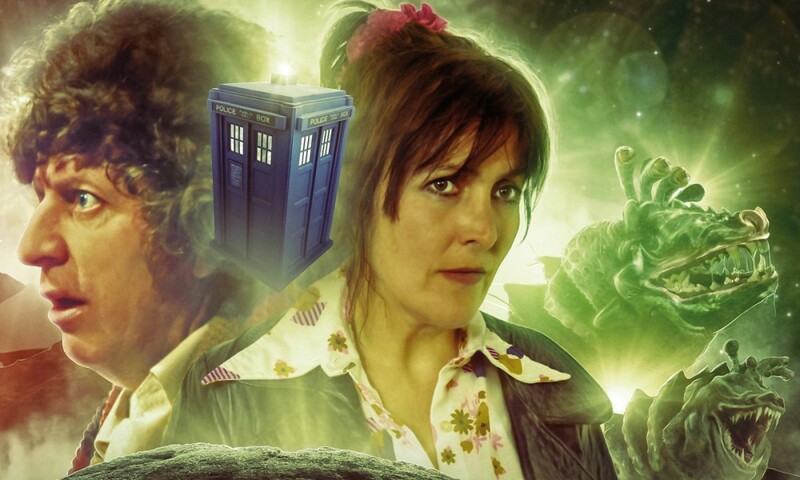 There’s some attempt to do something with Mel and the Doctor’s expectations for each other: the Doctor is angry that Mel seems to have become a space criminal, while Mel is angry… I’m not really sure at what, since this Doctor seems to be exactly like the carefree one she left. There’s potential in the idea of a masterplan-spinning Doctor seeing Mel as a symbol of the naïve viewpoint he abandoned, and Mel worrying her Doctor has become darker without her influence, but none of that’s going on here. I will say, though, that Sylvester McCoy gets this script’s zany Doctor down perfectly, turning in an excellent performance. Lastly, where’s Glitz? I’m sure that if he’s not in this story, he couldn’t be in this story for whatever reason (given characters and concepts Big Finish have brought back, it can’t be an artistic objection), but the way the story dances around the non-presence of Glitz is awkward and obtrusive, and it kind of makes bringing back Mel feel pointless to not seriously explore the conditions under which she left. Plus, Glitz is too damn fun a character — and if this story needed anything, it’s fun. 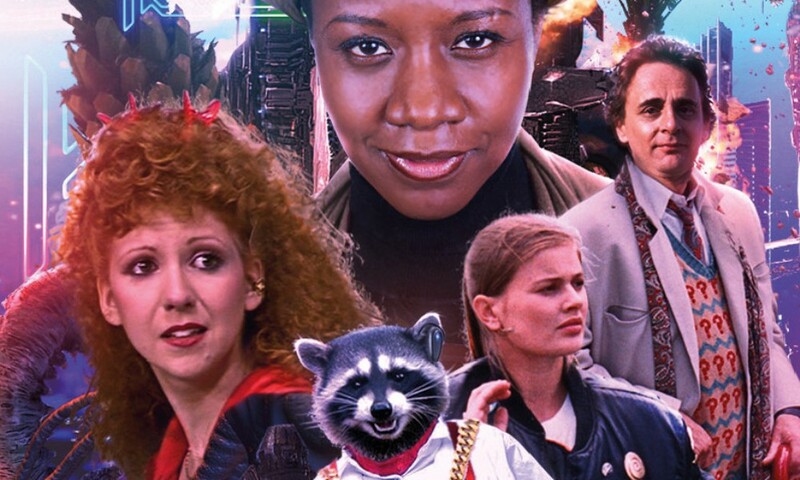 There was a point where I thought the next set-up for Seventh Doctor and Ace adventures after Hex should have involved a new TARDIS team including Lysandra Aristedes and Sally Morgan, after the events of Black and White and Gods and Monsters. I thought it would have brought something new to the established characters, and the new ones had potential. That ship sailed with the way Hex’s story wrapped up, but whatever direction the Doctor and Ace should have gone in, nothing in A Life of Crime convinces me that this way was it. A Life of Crime (by Matt Fitton; starring Sylvester McCoy, Bonnie Langford, Sophie Aldred) was released by Big Finish Productions in July 2016.